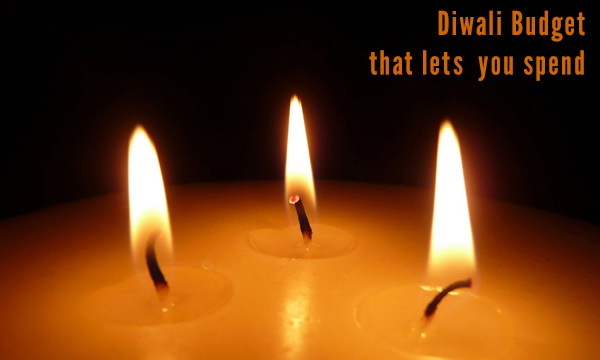 With the festive season upon us, how can we maintain a budget yet enjoy Diwali? We shall explore a few options in this post on how to not make this Diwali over expensive yet indulge ourselves. It’s Diwali time! And for most of us it’s a time to revel, gather, meet friends and family, buy stuff, decorate your homes, indulge, and splurge a bit. Budgeting for Diwali is not something one looks at. And why not, its festival time and this is why festivals are for. We have pretty monotonous lives in any case and festivals are a welcome break from our routine, boring lives so it’s OK to indulge. We keep budgeting all our lives maybe so we often think since its festivities galore all over, we can always splurge a bit. Yes, you can and you should. 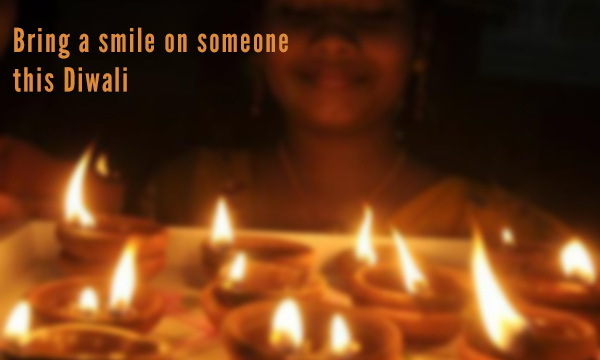 Buy the new clothes, those decorative lamps or diyas, the sweets you have to share with others. Don’t be a miser, but at the same time be aware of the expenses going through the roof. List is something that will always help you out for most things in life and more so with managing your expenses. Listing down all your Diwali needs from, clothes, decor items, crackers, sweets etc. will reduce the confusion at the last moment and will make you focus on only the things you need and thus reduce the chances of you buying something just for the sake of it. Diwali Budget can be maintained well with a proper list. Don’t rework old clothes if you don’t want to. I guess if you have been a good saver and sensible about your money, indulging and rewarding yourself or family once in a while is well deserved. Buy new clothes, enjoy. But, be smart about it. There are shops which sell clothes at much cheaper prices than stores. These are either factory outlets or export surplus shops. They have brands that you would find in the stores and you can very well get a good deal at these shops. The amount of money you save is significant and most of them even have footwear. Just go around and see the shops in your area, there will be at least one such shop around. Stuff like dry fruits, crackers etc. can all be bought for much cheaper prices from wholesale stores. Find a wholesaler and make most of your purchases there. It will go down well with the budget for Diwali you wish to maintain. Also don’t forget to keep an eye on those festival discount days offered by various stores during Diwali. Even they know that we just love it when we save a few bucks. Make this part of your Diwali Budget planning. Decorative items like diyas, lamps, decorative lighting and much more can be bought on a budget this diwali. Don’t go shopping for such itmes in departmental stores or shops. Instead go for road side shopping. You will find amazing art work in such places at really good prices. Also Diwali decor items are not a long term purchase that you should be quality conscious about them. This way you even contribute to those hard working labourers and make their festival better. Also there are NGOs which sell such items made by kids and people associated with them. Buying from them will give a smile to their faces and save you some cash. You can even get regular glasses and diyas and buy some acrylic colours and unleash your creativity on it and save some cash too. Budget for Diwali will obviously have place for sweets. After all what’s the point of celebrating without doing some ‘muh meetha’. But sweets can often be very expensive during festivities. Some vendors who have an established reputation in the market very often hike prices very subtly during this time. What you can do, if you really want to save on sweets, is to get them made from home-businesses. There are groups of people who will make sweets in bulk and then you pay them for your share. Buying from them can certainly save some money. If you can’t find such people, ask around in societies surrounding you, as a lot of societies do this, they get sweets made-to-order. Diwali budget can also be achieved by choosing homemade sweets if you know and want to. Recipes are available everywhere on the internet. Going out, eating around and spending time with friends and family is often times a part of festivals. Usually going in a group may help, as you can share the expenses. Also sometimes, people gather at one particular place like someone’s house and spend time together. This certainly cuts down on the huge restaurant bills. Think over it and try to incorporate this in your Diwali budget too. Festival is a time to rejoice, have fun, chill and relax. Don’t be stingy and miser during such times. Remember we have one life to live and don’t have regrets as to not living it to the fullest. However in doing so always try and take steps that can save some money. Keep a check on your expenses and plan well ahead. Sticking to a Diwali Budget can be fun if you are sensible enough to know where and when to spend. Enjoy, revel, and have a Great and Happy Diwali!! !